A dramatic, architectural plant, with massive, deeply veined, rounded leaves held on stout, prickly stems. This majestic plant looks wonderful at the edge of a large pond or stream where its foliage is reflected in the water. One of the most spectacular plants that can be grown in Britain, it requires deep, permanently moist, humus-rich soil, lots of space and protection from cold, drying winds. Garden care: Cut back the dying leaves in autumn. In frost-prone areas protect the crown of the plant with a dry winter mulch such as straw. i have it in a woody area - probably could do with more sun! I always liked the drama of this plant but thought it way too big for my average sized garden. Saw on Gardeners World that somebody kept one in a pot to reduce it's size so I went for it. Doesn't hang about, already need to up the pot size again for this year. Worth the effort though. Big girls blouse, needs babied over the winter. If looking for a statement plant it's a deffo. Strong robust healthy plant, we were struggling to find a plant that would survive our boggy border, as we have underground springs, and this has been brilliant. We protected the crown over winter, and it is showing signs of coming back already. We are delighted with it. The gunners has settled very well. 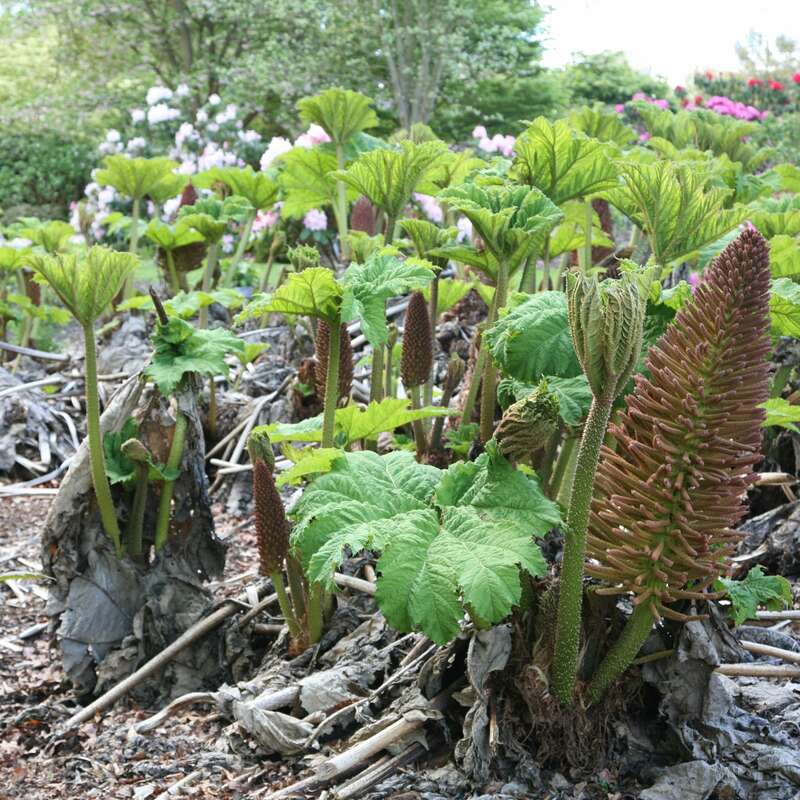 The gunnera is resting at the moment. Love this plant & it has grown so well. All I hope is that it survives the winter. Supposedly easy in boggy soil but it failed for me ! Hi. 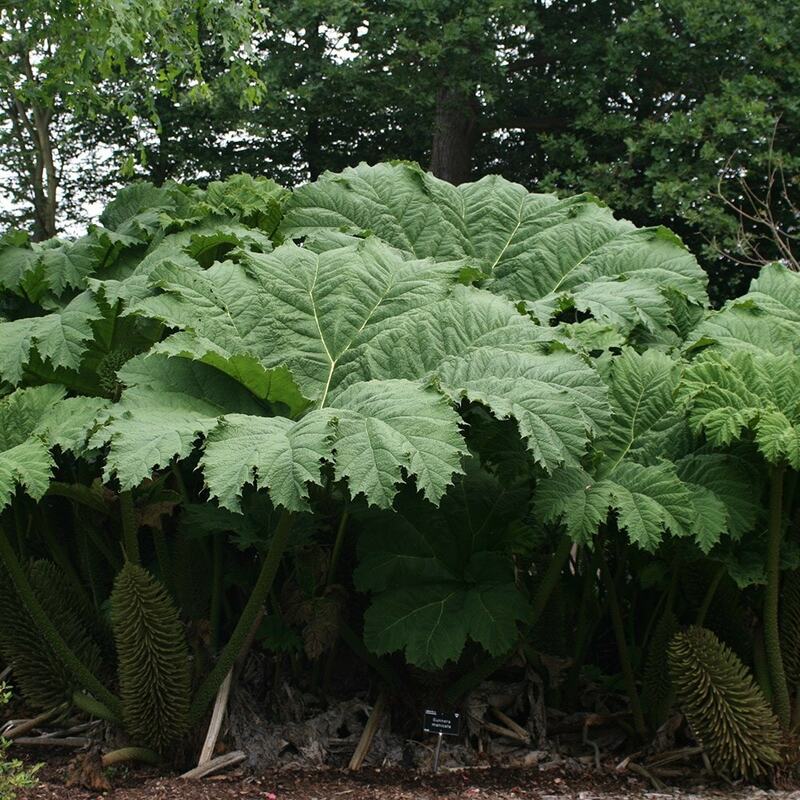 Can a Gunnera be planted into a large pot? Hello, This plant will be much happier if planted in the ground where it can spread out - and its roots can sink into the soil. 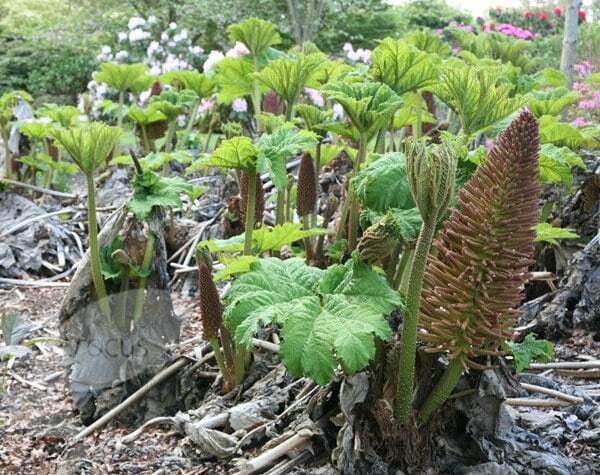 I have just bought a gunnera is it ok to plant it now or should I wait til spring. It's leaVes haven't died down yet still very green. Hello there As long as the ground isn't frozen or freezing outside you could plant now, but this plant isn't fully hardy so you will need to protect the crown from frosts. After cutting back in the autumn use leaves to protect the crown or insulate with a layer of dry leaves or chipped bark.